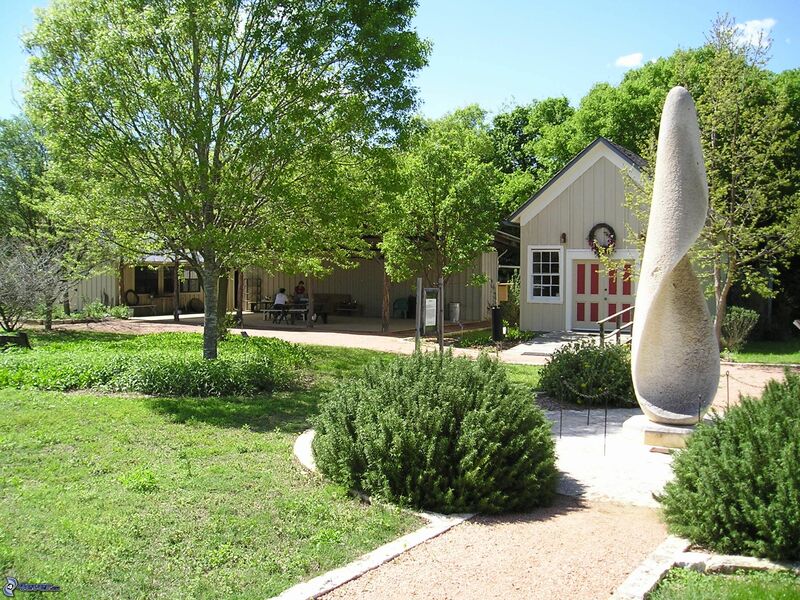 As the calendar begins to transition from the months of summer to fall, weather follows suit. Gone, for the most part, are the hot, clear days. We are left to face colder temperatures and spurts of rain and wind. Sometimes it is nice to have a break from the scorching heat, but what if it’s more than we bargained for? Fall may bring severe changes in weather that can cause damage to our properties and/or HVAC units. While summer is behind us, we do still see some occasional warm and humid days. During these moments of heat, homeowners are tempted to drastically lower their air conditioner temperatures to escape the less-than-optimal outdoor weather. Doing so can often cause your unit to work harder than it needs to. To avoid unnecessary wear and tear on your air conditioner, raise your thermostat to 78 degrees Fahrenheit to keep you cool. 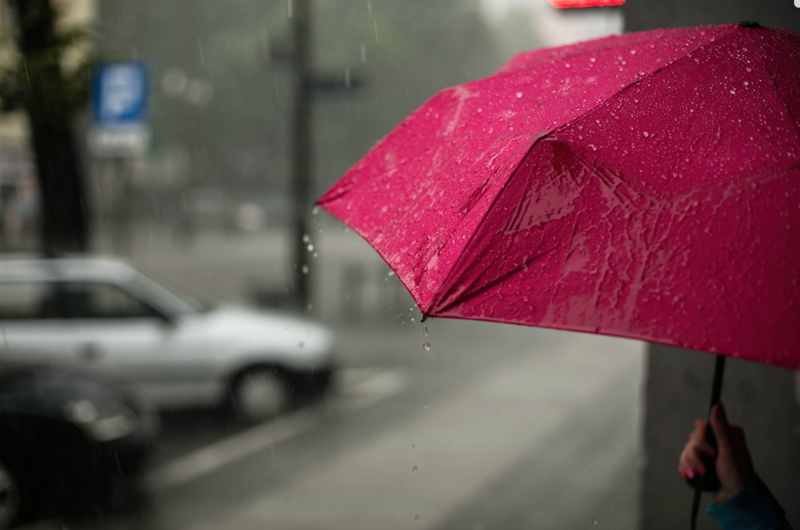 Our clients often ask us, “should we cover our air-conditioner to protect it from rain?” The answer is no, not really. Air-conditioners are designed and constructed with weather in mind. They are made to withstand rain, hail, and even snow. Covering them can often cause more damage than having no protection at all. Tarp coverings (especially ones made out of plastic) can cut off air circulation to the unit, causing moisture to form on the underside of the casing. 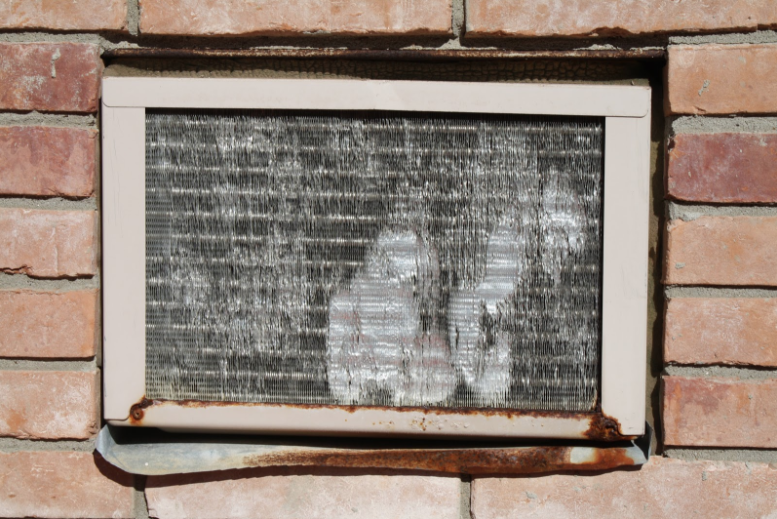 This moisture can rot and rust the metal exterior, wiring components, and even rubber within the air-conditioner. Over time, this will render your unit inoperable. If you wish to cover it, opt for commercially available covers with proper ventilation. The only time you should really worry about water damaging your AC is during periods of severe flooding. If water levels reach or exceed 15 inches in depth, you should consult a technician before restarting your air conditioner. Thunderstorms can damage your unit in two ways. First, the high winds often associated with storms can send objects like leaves and branches flying into your air conditioner’s condenser fan grille. This blockage can prevent it from running properly. Second, if lightning strikes your air conditioner, power surges often incur. To complicate matters, the severity of those surges is not often seen right away. You may not know your unit has been struck! But over the course of a few months, homeowners begin to notice that their air conditioner is not working as well as it was before. The most common cause of air conditioner damage after a lightning strike is damage to the capacitor. If not taken care of immediately, this can lead to a compressor failure, which is a much more expensive repair. 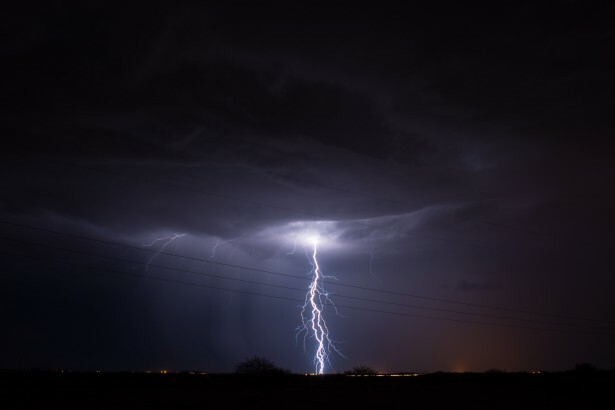 To limit the impact of a lightning strike, invest in some high-quality outlet surge suppressors! Do you have more questions about how changes in weather can affect your HVAC units? Contact us! 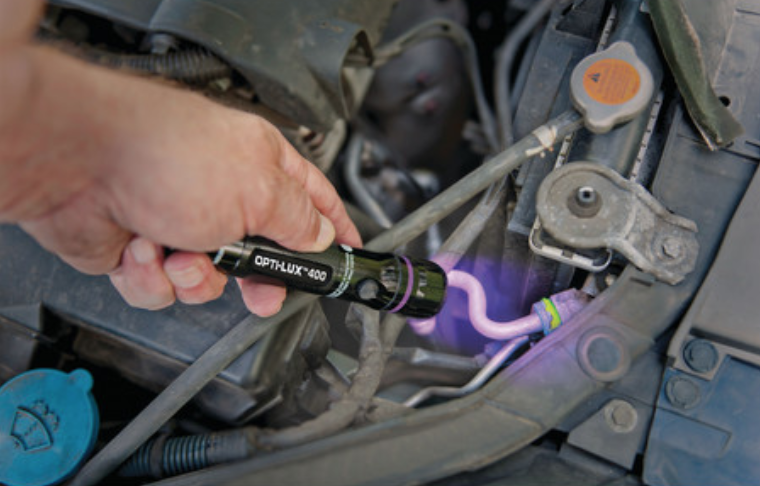 Our knowledgeable and friendly service technicians at Afterglow Ltd. would be happy to help! You love when summer rays radiate down on you outside, but why don’t you feel the same way when you are inside? When the sun permeates through windows, the temperature quickly rises, making a home feel more like a greenhouse by the minute. To counteract this effect, homeowners will resort to blasting their air conditioners excessively. This not only increases their energy bill but also wastes energy. Below are some helpful tips for saving on both! We all know those people that want the best of both worlds —fresh air and the nice blast of cool air from the air conditioner. However, running the AC while the windows are open makes your unit work harder than it needs to, taking your home longer to reach your desired temperature. If you want fresh air, open your windows during the evening when it is cooler outside. We spoke about how the sun can turn your home into a greenhouse above, but how does that happen inside your home? 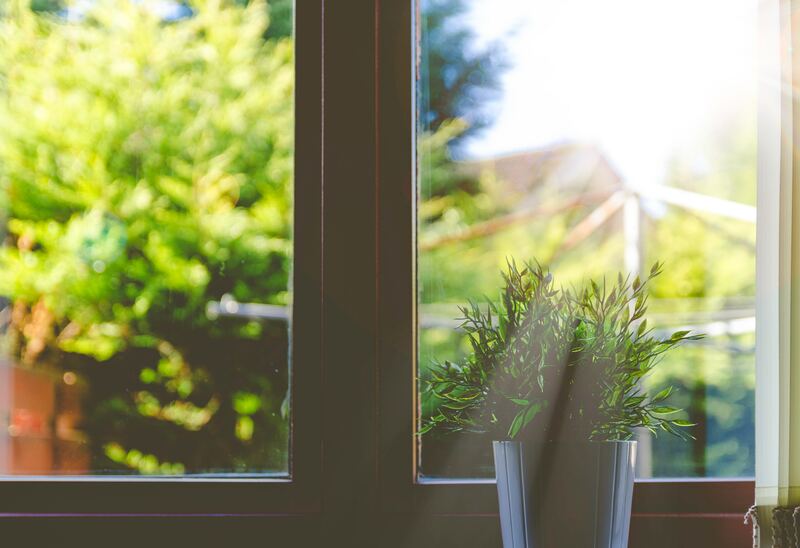 When your windows are closed and the sun radiates through to the inside, the temperature in your home increases. The warm air rises, filling and trapping heat in any room it finds. Investing in some solid blackout curtains and closing them during the hottest parts of the day can significantly decrease this effect. 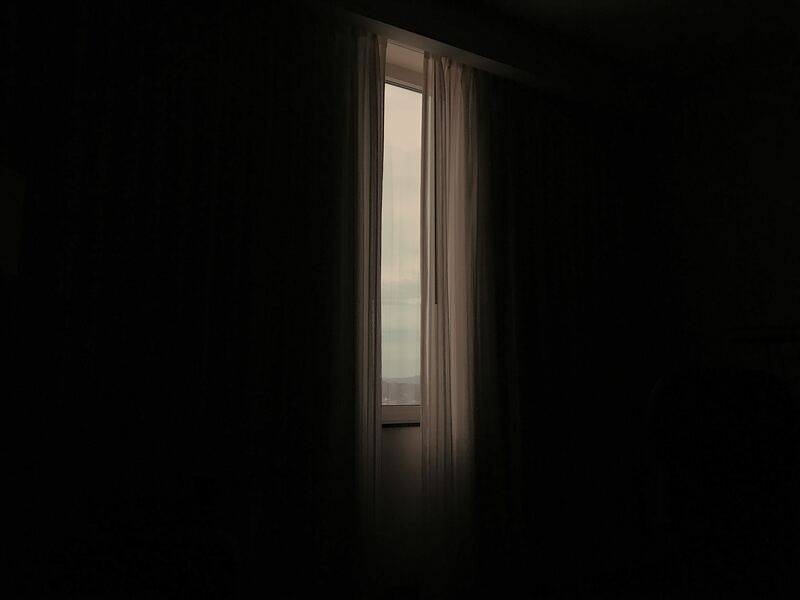 While they do not completely stop heat from entering your home, blackout curtains drastically reduce the impact of the sun’s rays. A common misconception about fans is that they help cool your home, but they are actually quite inefficient. Fans circulate air throughout a room. When you feel hot and sweaty, this breeze can feel refreshing on the skin and help to lower your core body temperature. However, the actual temperature in the room remains unchanged. Fans use a lot less energy than central AC (55-90 watts vs 3500 watts depending on the size of the unit), so using them while at home will save you a significant amount on your electricity bill. 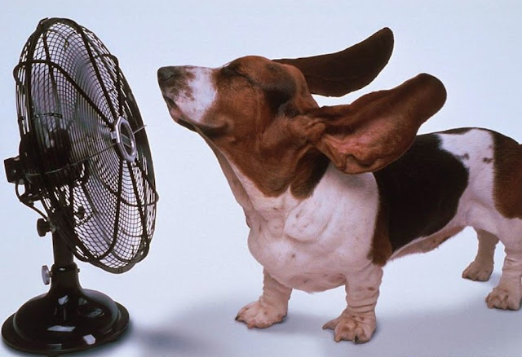 Avoid running the fan when not at home, however, because it won’t affect the temperature. You’ll just waste electricity. Programmable thermostats are a more expensive initial purchase, but their benefits far outweigh manual models. First, they save you time, which we all know is precious. Stop wasting time flicking between degrees. Programmable thermostats allow you to set them once, based on recommended levels or personal preferences, and be done with them! Second, they use less energy, saving homeowners upwards of $150 each year! Lastly, unlike some manual models that contain mercury, programmable models are mercury-free. Save the environment, one thermostat at a time! Don’t let your discomfort overshadow your energy costs! Use the above tips in your home. For more savings tips, or for technical HVAC services, call us to schedule your very own appointment today! Last month, you fulfilled your curiosity about how air conditioner parts function together to cool the air in your home. That knowledge is all good and dandy, but there are more questions to be answered. Do you know the reasons why an air conditioner would fail and what to do in the event that it does? Below is a breakdown of the top 5 reasons for an air conditioner’s failure. 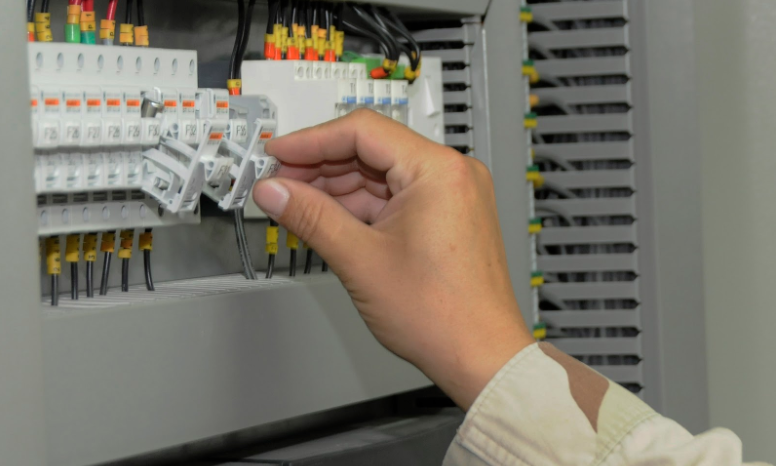 If your air conditioner fails, first check your fuse and circuit breaker to make sure that there aren’t any electrical issues present. Turn off your air conditioner, allowing 15 minutes of cool down time before replacing the fuse or resetting the breaker. If that doesn’t do the trick, your AC could have been improperly wired or you could have tripped a high-pressure limit switch. In those cases, call a trained technician to inspect the problem. A refrigerant can leak for several reasons: natural wear and tear, formic acid buildup, or formaldehyde exposure. Over time, acid can build up, burning a hole through the copper tubing or coils of the air conditioning unit, resulting in a leak and a change in pressure. If an air conditioner does not reach an adequate pressure level, this can cause it to fail. TIP: If you see a refrigerant leak, call a trusted HVAC technician immediately! Refrigerants are harmful substances to the environment. Air conditioners need a passageway for warm air to travel in order to reach the cold coils that cool the air. 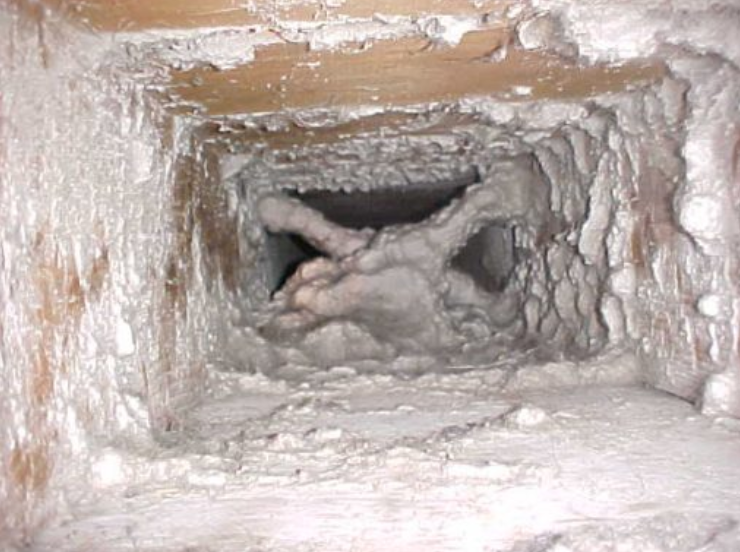 If there is a blockage within this passageway, your coils can freeze from a lack of warm air passing over the coils. To prevent this issue, change your AC filter regularly and don’t skip your HVAC maintenance inspections! If you see frost, call us! Is your air conditioner 5 years or older and constantly toggling on and off? This could be a sign that there is damage to one or more parts within your unit, such as the fan blades, compressor, or electrical parts. Regular inspections can catch these issues before they become too large to fix. If your thermostat is not properly calibrated, it can cause your air conditioner to work harder than it needs to. 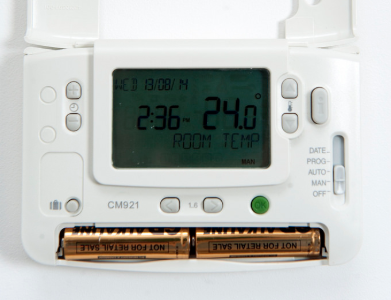 Thermostats exist to control the amount of air being circulated within your home. If the thermostat is faulty, it can send your air conditioner into overdrive. Don’t let the humidity in your home get you down! Talented HVAC technicians are just one call away. Reach out to us and we will get that cool air flowing in no time! 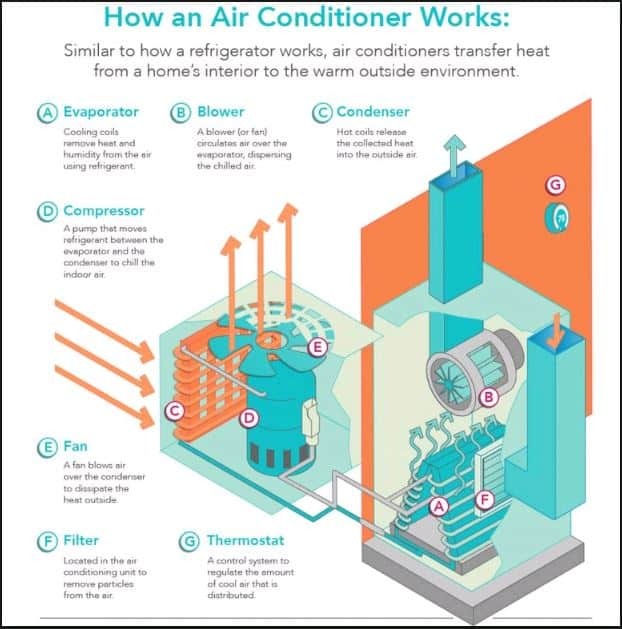 You know that an air conditioner brings joy to your life during the hot summer months, but are you ever curious about how it works? An air conditioner essentially works by transferring heat and humidity found inside your home to the outside. In order to understand why an air conditioner would fail (covered in next month’s blog), you must first understand how it functions. 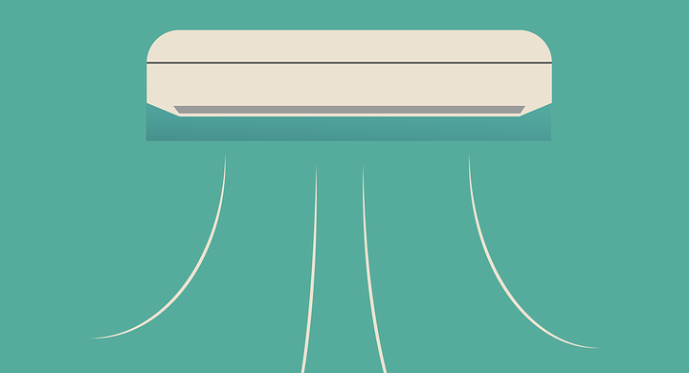 To break it down, there are 7 essential parts of an air conditioner. The evaporator, comprised of cooling coils, removes heat from the air using a refrigerant. A refrigerant is a substance that changes states from a low-pressure gas to a high-pressure liquid as it absorbs heat. As a blower ‘blows’ air over the coils, this substance cools the air. At the exterior of the house, a condenser, made up of hot coils accumulates all of the hot air and releases it back into the outside world. In order for the evaporator and condenser to work together in unison, a compressor, with the aid of a fan, exists to pump refrigerant between the two, chilling the air, dispersing and dissipating it as it travels. Within the air conditioning unit, there is also a filter whose job it is to remove particles, like dust and debris, from the air in your home. Lastly, a thermostat exists to regulate the level of cool air being distributed. These 7 parts are essential for the lower temperature bliss you crave during the humid summer months. If you are in need of an air conditioner, contact us! 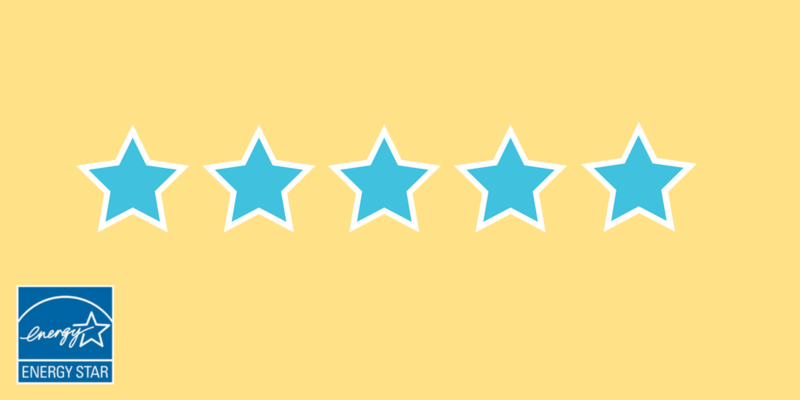 Our knowledgeable technicians would be happy to help you find the right unit to fit your home! 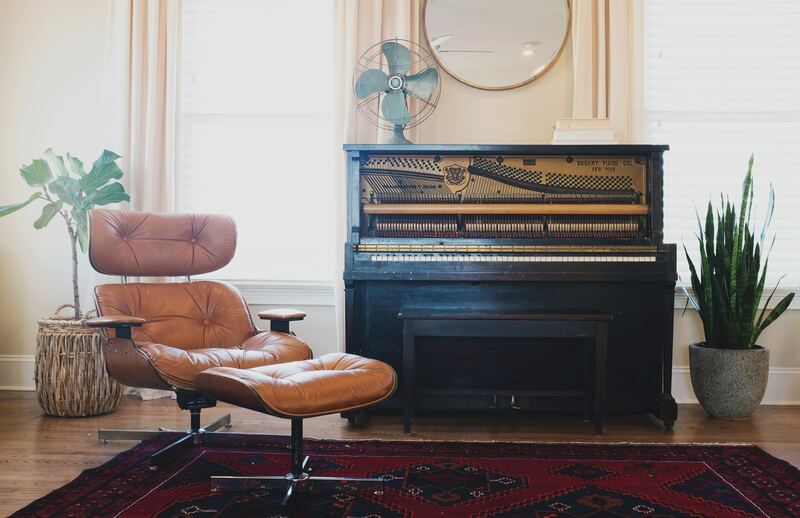 HVAC systems keep your home comfort and safety in check, but do you know how they work to maintain this comfort and safety? For the average homeowner, these high-tech systems can be tricky to understand. That is why we have honed the expertise of our Afterglow specialists to answer our most frequently asked questions leading into the summer. We get it, everyone wants to save money if they can. But when it comes down to your furnace or boiler, we highly recommend that you don’t wait! Just because your furnace or boiler survived the winter does not mean it is working efficiently. You may be investing more money the longer you wait. Why? Your air-conditioner relies on your furnace to blow air throughout your home. If that furnace is not in good shape, it could cause your AC to stop working entirely. 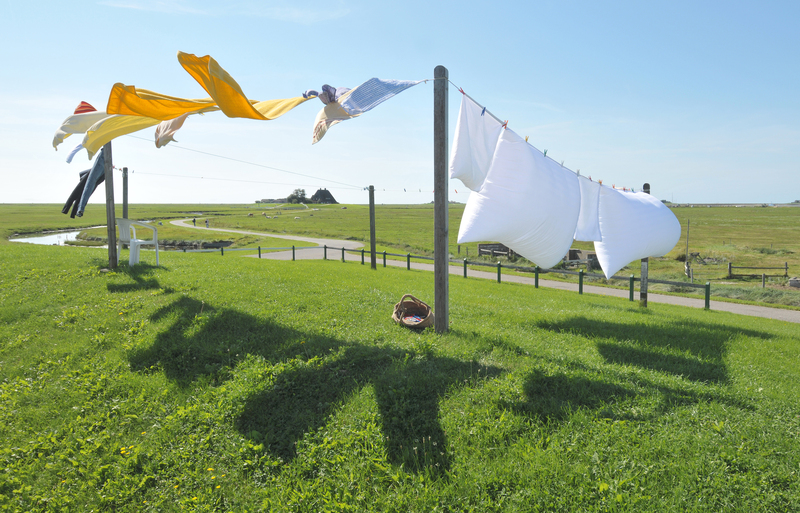 In the summer months —this is not a problem anyone wishes to have! Do not suffer from heat in vain. Replace your furnace or boiler now so that you are not rushed when the colder weather hits! If you like saving money and the environment, yes, air-conditioner efficiency matters! AC efficiency is measured in SEER (Seasonal Energy Efficiency Ratio), which is the rating calculated by the amount of cooling outputted during a typical cooling season divided by the electrical energy (BTU) inputted during that same time period. Essentially, the higher the SEER rating, the more energy efficient the unit is. For the average Canadian home running their AC from March to September, a bump up one point in SEER may result in savings of $10-$15 per month! Many of our clients think that if they have a boiler installed, they are out of luck with an AC system because boiler systems do not use ducts to transport heat throughout the home. That is not the case! Air conditioner technology is becoming more and more inventive! Ductless options with wall-mounted AC heads are available and can be quite cost-effective. These powerful systems can cool rooms or even entire floors quite rapidly, saving you at the hottest time of the year! Ducted systems are also available and can work alongside your boiler. You asked, we answered! Do not suffer in the scorching heat this summer. Bask in the cool air you always dreamed of! 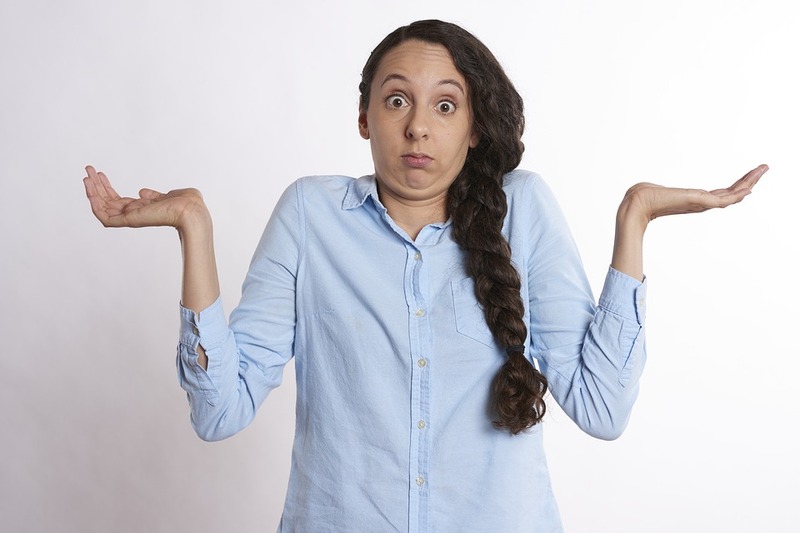 Do you have any HVAC questions nagging you? Contact us —our HVAC specialists would be happy to help provide you with some clarity and expert advice!